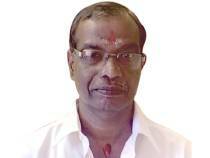 Mr. Vinayakan is a renowned astrologer in the field of Astrology. He studied astrology under Mahadeva Iyer SreeLakshmi Jothishalayam. He has 11 years of working experience and besides Astrology, he is also specialized in Numerology, Gemology and Hastharekha.